首页 > 对话 > Is China Serious About Climate Change? Is China Serious About Climate Change? According to former Australian Prime Minister Kevin Rudd and Paulson Institute Chairman Hank Paulson, the answer is yes. China’s position on climate change has flipped 180 degrees in the last five years, according to Rudd, who just joined the Institute as a Distinguished Fellow. 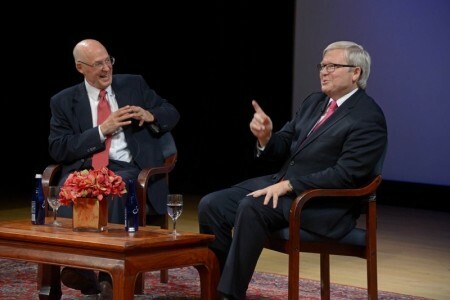 In an onstage conversation with Paulson yesterday at the Asia Society in New York, Rudd described the Chinese position back in 2009, when then Chinese Prime Minister Wen Jiabao declined to attend a negotiation session with world leaders at the Copenhagen climate change conference. “China saw climate change as a global problem. Historically, they legitimately felt it was the fault of the West and that the West should fix it,” Rudd said. Now, he said, in response to the air pollution crisis that has erupted in Chinese cities, the Chinese leadership has made environmental policy a top priority. 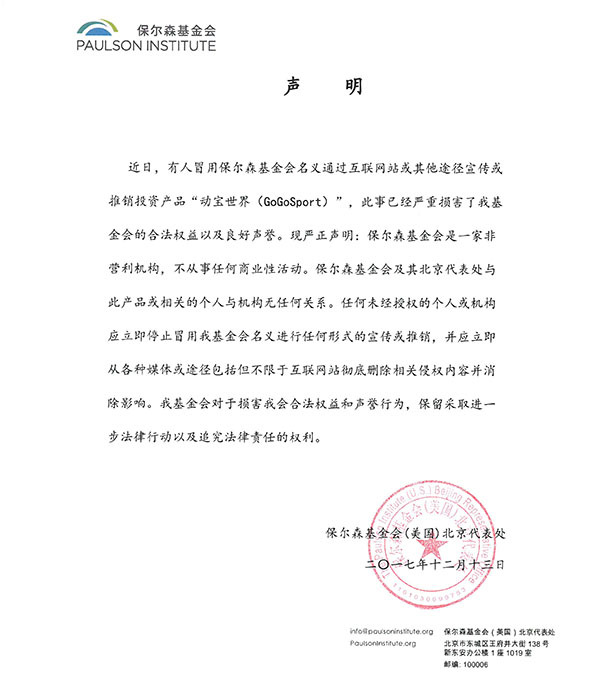 “Chinese citizens are angry as hell about pollution, and in China there is much deeper consensus that the Chinese must act globally if they want to achieve the rejuvenation of the Chinese state and be accepted as a great power in the councils of the world, while delivering opportunities for a good life to individual citizens,” he added.